At A/C Fabricating Corp., we are dedicated to serving our customers efficiently while maintaining consistent production standards. Since 1975 we’ve built a reputation in the industry for competitive pricing, prompt delivery, customer satisfaction. 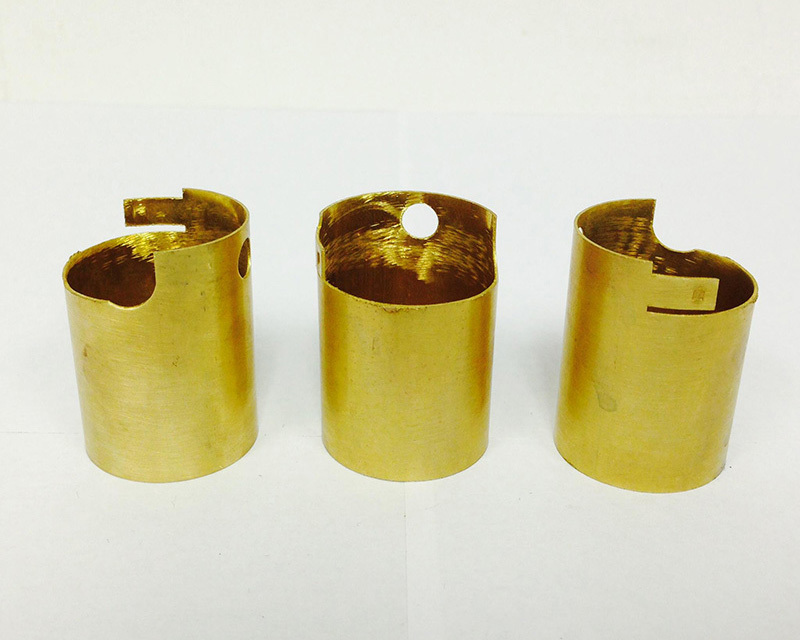 In this project, a prominent Midwest automotive customer was producing brass horn connectors via raw sheet stamping. They soon realized that the current process was cost prohibitive and may have an impact on overall part quality. Turning to our team at A/C Fabricating, they requested our team to manufacture the very same product out of brass tubing with an emphasis on lower cost and higher quality. The part required a diameter of 1.187” with a length of 1.813” and wall thickness of only 0.020”. It was also required to have an average weight of 0.084 lbs. 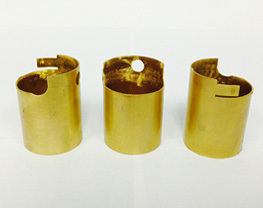 Using several processes including a punch press, tube shearing, and end forming, we were able to start producing brass horn connectors in less than 6 weeks with a maximum tolerance of + 0.002” and we produce 79,000 pcs over the life of the product. Our in-house testing utilized gage inspection to confirm all parts adhered to exact customer standards. Our team manufactured all of the brass horn connectors at lower cost and with an emphasis on higher part quality. To learn more about this project, or the processes used to manufacture it, see the table below or contact us directly.